This post is a continuation from the previous post “The Austin Home Overhaul Part 1”. 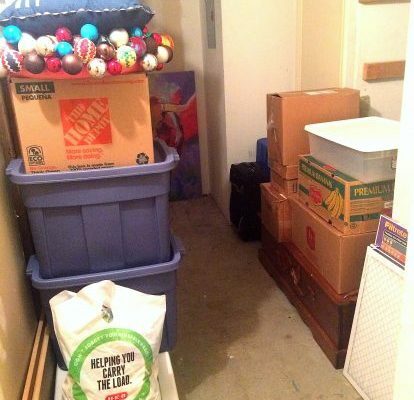 After completing most of the office/guest room and the girls’ bedroom I moved on to random part of the house, including her twin boys bedroom, the front hall closet and their storage area, lovingly referred to as “purgatory”. Most of the items in the twins bedroom just needed to be sorted, organized and put away. Their clothes in the dresser were all mixed together and I was able to sort and organize their clothes in the 3 drawers so now pjs, socks, random items are in the top drawer, onesies and shirts are in the second drawer and pants and shorts are in the bottom drawers. Even if she doesn’t keep everything folded and completely sorted, as long as she maintains those categories getting them dressed will be easier. I also took any shirt/outfit that should be hung up and added them to the closet. 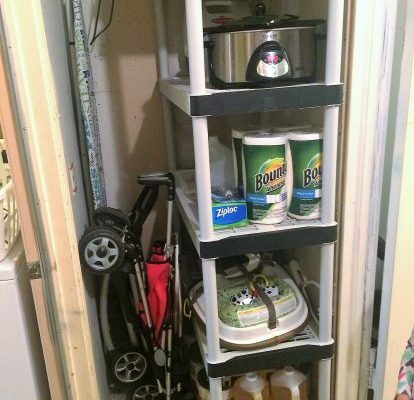 She uses a book shelf in the closet for more storage which makes things tight, but also gives ample space for diapers, wipes and shoes. Their hall closet was a random assortment of items that needed to be donated, returned to friends, moved to another location or thrown away. 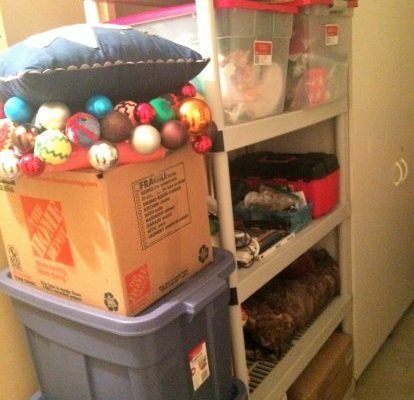 The items that actually belonged in the closet were all lost among the chaos and impossible to reach. I was able to pull everything out and put back in only what needed to be in there. And finally on to Purgatory. 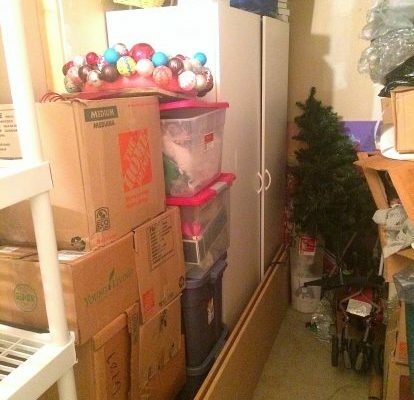 This room literally housed items the homeowners hadn’t seen in years. We had to put EVERYTHING out and they had to go through each box to see what needed to be kept, donated or thrown out. It was a very long process but the end result is amazing! My client has a lot of wrapping paper/accessories so I was able to give her a specific area to hold all of those items along with a space for extra storage for everyday household items. Needless to say my client and her husband were thrilled with the end result. This was my first official “out of state” job. I have done a few up in Michigan when I am home visiting my family, but this client flew me out specifically to help her and her family. This client has 4 children (including twin toddler boys), she home-schools her older 2 daughters 3 days a week and runs her own essential oil business with Young Living, so to say she is busy is an understatement. 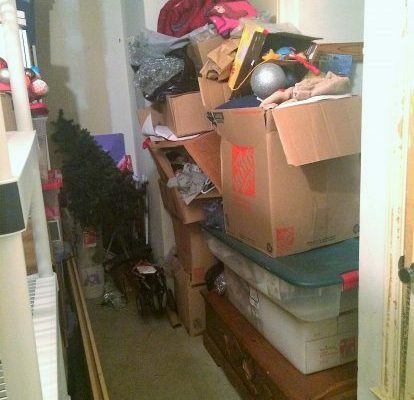 The last couple years have been crazy for this family of 6 and now that life is beginning to settle down she and her husband realized they needed some help to get their clutter under control. I arrived on a Tuesday and got to work right away in the guest room/home office. Her daughters used to sleep in that room and had just recently moved to the garage (which had been renovated into a 4th bedroom). When the girls changed rooms their clothes in the closet didn’t make the switch so the closet in the office/guest room was full of their clothes. After emptying the closet and discussing ideas for the office area I got to work. The room slowly came together over the next few days as we shopped for different item needed to get her organized and re-worked certain spaces. By the end of my trip her desk, cubbie shelving unit and chest of drawers were all organized to help make her job easier. The next room I moved on to was the girls’ bedroom. We made sure to work in there on a day when they were in school and the boys were with a babysitter, so my client was able to help me without any distractions. Once the girls got home they were able to help and even put a mirror in their newly organized closet so they had a “dressing room” to get changed in. The mom also wanted to put a reading nook in the bedroom and the girls were so excited to have a special place where they could sit and read. And now it’s the final week of the month which means I take a break and let another blogger/organizer take over. This month I’m letting Laura from Orgunkie.com teach you guys a handy tip as we make way for spring. That sounds doable, right? The other 7 tips given are doable as well, so check the post out and then give them a try. Did you like the 8 steps given? Do you have another step you would add? Comment and let me know. Before I get in to this post, let me clarify something – it’s not so much that I don’t like this item, I just don’t like what it’s marketed as and what most people think it should be used for. This item is a spice shelf, but only when it is used for holding spices. Why don’t I like using a spice shelf for spices? Well, I really don’t think they’re very useful. They don’t make it easier see all the spices and they don’t make it easier to reach all the spices. Depending on the height of the cupboard shelf above it, reading and reaching the ones in the back is almost impossible and usually causes a domino affect crash of the ones in the front… Very annoying. Also, when you can’t see all that you have, you usually end up buying more, which means you’re throwing away money buying something you don’t need. And this isn’t even all of the ideas. If you search on Google or Pinterest there are so many more options out there. So, if you’re tired of digging around in your spices and you want to stop wasting money buying spices you already have, think about using one of the alternative options above or maybe find something else that will work for you. Every kitchen is as different as the person who cooks in it. Do you agree with my opinion? Disagree? Do you have a different way of storing your spices than one I listed above? Comment and let me know! Also, happy birthday dad!! I love you! One thing I absolutely love to use in most of my jobs are utensil organizers. Obviously they come in handy for utensils (small and large) but I also love them for other random drawers. I’ve used them in play rooms, arts and crafts spaces, storage areas, junk drawers… They really come in handy in almost every room of the house. And there’s so many different options out there! Nice bamboo ones, steel mesh, plastic/rubber, and so many more options! Whatever your style, whatever your budget, investing in a utensil organizer will help any room in your house. Like this idea? Don’t like it? Comment below and let me know! Hey everyone! Welcome back to you and welcome back to Eating an Elephant! After taking some time off to figure out what I wanted to do with the blog, and if I even wanted to keep it going, I’m finally back. I love the idea of a weekly organizing tip, but there’s only so many tips and I was having a hard time coming up with more, even with guest posts thrown in the mix. During my time off I would think about Eating an Elephant and wonder what to do with it, but no new idea came to me. I wasn’t worried though, because I knew when I needed it, it would come. And it did! My new idea still has the “organizing tip” element to it (because anything else wouldn’t make sense) but after all the jobs I’ve had I’ve come to learn organizing tips I love and organizing tips I don’t think really work, organizing tools I recommend all the time and organizing tools I try to turn people away from, household items I constantly tell people to get rid of and items I let people keep. And that’s what I want to share with you all. 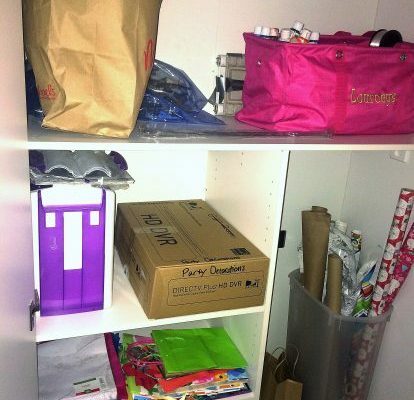 Each week I’ll either showcase an organizing tool I love, one I don’t like (or if I use it for a different purpose), something you can get rid of right away and then a guest post. I’m excited for this new format because I’ll be able to really dig in to my personal organizing style and will end up learning a little bit more about myself as an organizer. I’m also really hoping for more interaction from you guys, my faithful, good-looking readers. If you have something you love or hate, or don’t agree with my thoughts on a tool or have recycled something I said to purge, I really want to hear about it! So prepare to be more interactive with the Eating an Elephant blog. I don’t want you to just read it and delete it. At the most I’d love for you to act on the tip and at the very least I’d love you to respond in some way. So there ya go. Eating an Elephant has returned and, hopefully, is better than ever. I’m aware of the constant ebb and flow and changing tides of ideas so who knows if another revamp will come along. For now, this is how it’s working. And since this is the first week of the month, that means today’s tip is for purging! What do I think you should purge? Old towels. If you have random towels that no longer have a matching set, or especially if they’re frayed and thin, get rid of them. Chances are, even they are still getting used, they’re not really doing their job anymore. Cut them up for rags or cleaning cloths, keep one or two in your trunk for an emergency or use them for wrapping delicate items stored in your attic or basement. But there’s no need to hold on to them. Agree? Disagree? Have another idea for recycling old towels? Comment below!